Join us for an evening of Questions & Answers with Bloomfield Schools District Superintendent Salvatore Goncalves. This Wednesday at Franklin School from 7 – 9 P.M.
Research, testing and recognition of Auditory Processing Disorder has resulted in a larger number of students being diagnosed with Auditory Processing Disorder (APD) also sometimes called Central Auditory Processing Disorder. Students with APD have great difficulty in processing and prioritizing the sounds they hear. This in turn can result in a learning disability that often greatly impairs the student’s ability to understand school lessons and to communicate their thoughts, ideas and understanding or the lack of understanding of things. The following is a video that simulates the way a person with APD hears and interprets a teacher’s lesson in school. “On Wednesday,October 21, 2015 the DCF Regional School of Essex County Newark Campus will be holding an open house to introduce parents to the school. There will also be very informative representatives from various groups such as the commission for the blind, Medicaid, family support, etc. This will be a great opportunity to meet parents in our special needs community and gain knowledge to advocate for your child. Please put the date aside and bring a friend. Please state in your e-mail if you would like your question submitted along with your name or anonymously. We look forward to seeing you at our September 16th Meeting at Franklin School. 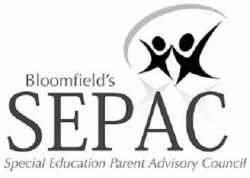 Welcome back SEPAC MEMBERS to our first Meeting of the 2015-2016 School Year! We are very pleased to have Bloomfield Schools Superintendent Salvatore Goncalves as our first Guest this year for a very informative Question and Answer Roundtable DIscussion.